Personally, after a rather quiet August and September I was still waiting for Nikon to launch the Nikon 1 V3. It would, if nothing, at least mean a price drop for the Nikon 1 V2. 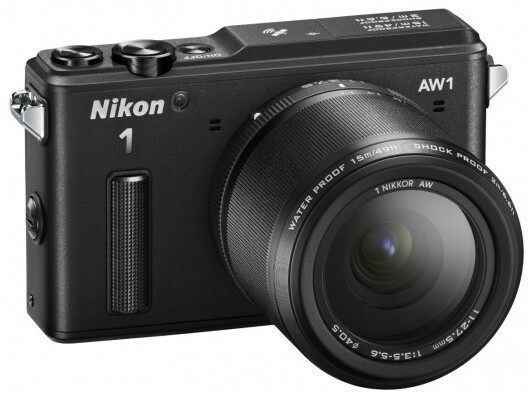 Instead we get the Nikon 1 AW1, which is a waterproofed, rugged version of the J3. Other media sources have made the comparison to the Nikonos, but the thing is, the Nikonos went tens of metres underwater as a dive camera should. This goes to… 15 metres. It is also drop proof to 2 metres, and a sensor suite comprising of GPS/GLONASS, compass, altimeter, and so on have been added to it. The rest of the camera is pretty much a J3. Same 14 megapixel 1″ sized CX sensor, the hybrid phase detect system, the crazy 60 FPS frame rate in continuous shooting for up to 40-ish images, and a small pop-up flash that is actually waterproofed as well. The small flash would be a problem for divers if the camera actually went that deep. There is some reshuffling of the buttons, as well as the loss of the mode dial, so a camera that is not highly rated in the usability department is going to be harder to use. It is partly made up by that nifty Action Control system which uses the accelerometer to choose settings with by pressing a button and rotating the camera. I suppose that makes the camera itself one giant mode dial? 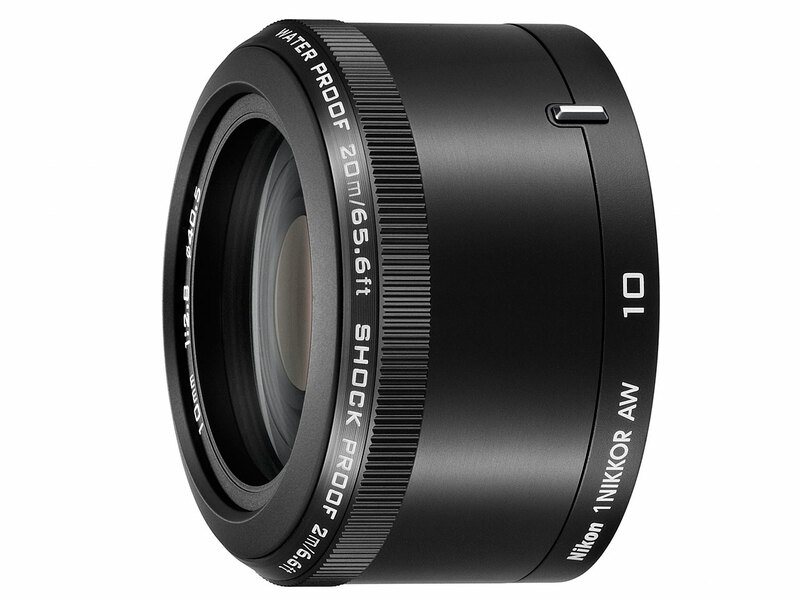 Since this is a waterproofed interchangeable lens camera, it also needs matching lenses. 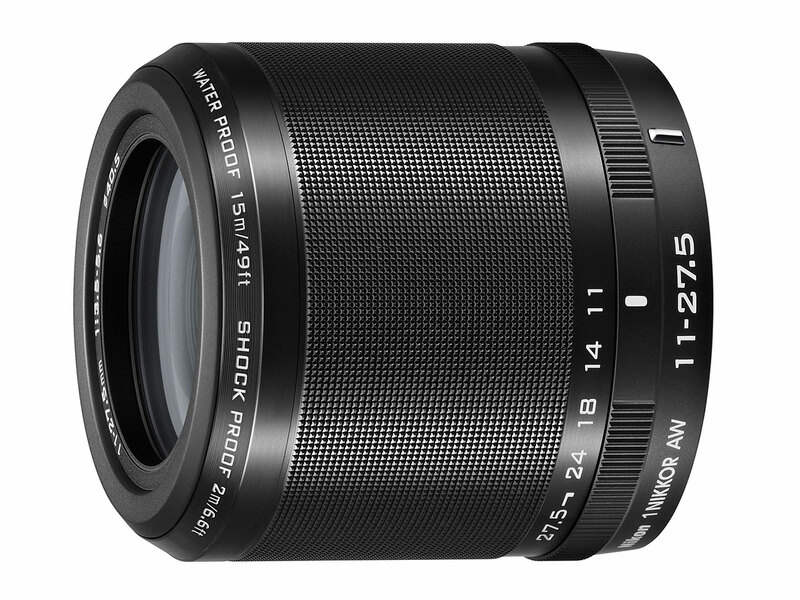 While the AW1 can take the usual 1 lenses, doing so means it will no longer be waterproofed. 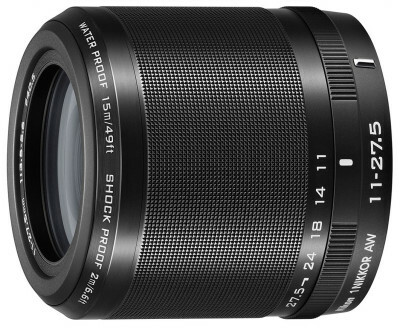 The two lenses introduced are the 10mm f/2.8 and 11-27.5mm f/3.5-5.6 lenses. They are basically waterproofed versions of their standard counterparts. Also note that the choice of lenses means VR lenses to go underwater with the AW1 with. This is probably to keep the size down. See how large these two normally small lenses are now? CK: The target market for this are people who love snorkelling or those who do water sports (e.g. kayaking, rafting etc) rather than deep-sea divers, so I guess the 15m is quite alright. This camera should definitely not be compared with the likes of the Nikonos system. This should be a good step up to those “all weather” compact cameras. 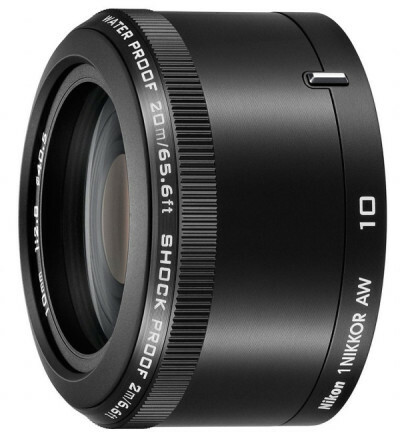 The Nikon 1 AW1 will be available in October for US$800 for the 11-27.5mm kit, and US$1000 for the kit containing both the 11-27.5mm and 10mm lenses. This entry was posted in Photography and Gear News and tagged 10/2.8 11-27.5mm f/2.8, 10mm f/2.8, 11-27.5/3.5-5.6, aw1, cx, cx mount, Nikon, nikon 1 by Yuan Sheng. Bookmark the permalink. ← Previous Previous post: We Are One!